Motoring in and around Central Iowa. Come join the fun! First of all, the meeting location has changed! More on that in a bit. Ric Johnson will be leading a convoy from Mini of Des Moines (MODM) to Bethany. The route will be about 50/50 Highway 69 and I-35, jumping on the interstate to skip the boring parts of the highway. This convoy is optional, but highly recommended! It’s only about 20 minutes slower than driving I-35 the whole way. For the convoy, try to be at MODM by 8:15AM on Sunday and absolutely no later than 8:30. The convoy will leave just after 8:30. There will be one rest stop about halfway in Osceola. The address of Flowers Bank, the new 11AM meeting spot, is 3601 Miller St, Bethany, MO. If you miss either of these timeframes, we’ll be breaking for lunch at 11:15 or so, and we’ll be lining in the southeast end of the Wal-Mart parking lot (also just off Miller St. to the west of our meeting spot in Bethany, look for the sign) at noon or shortly after. If you miss the lineup at Wal-Mart, good luck finding us, because we’re headed for the hills! At the bank parking lot we can hand out maps and do introductions and wait until 11:15 for any stragglers, then break for lunch. Most of us will go to Toot-Toot if it isn’t too crowded, there is also a Sonic nearby that many have dined at in the past. I suggest you dine lightly and leave room for dessert in Lamoni. Some of these roads are quite hilly and we’ve had some motion sickness casualties in the past! Everybody should bring a FRS radio AKA walkie-talkie if they have one. We’ll use them to communicate hazards on the route and such. Channel to be given out in Bethany. Also, the rough road that we’ve driven on the past few years has received some attention from MODOT finally. It’s still dirty in places due to agricultural use so you’ve got to be careful, but there are far fewer large patches of gravel and potholes. I look forward to seeing you all there! Have you been driving your MINI/Mini this winter? Ready to get you MINI/Mini back on the road for this summer? Well, MINI of Des Moines has a special event for you and you and you. We’re holding the 1st ‘Detail Day’ at MINI of Des Moines, where CIMC/EIMC and other MINI owners can come in and use our facilities to get rid of all the winter grime from your MINIs! All you need to bring is your MINI and your appetite—we’ll be providing detailing supplies, music, food, and fun! We need not worry about the weather, either, because we’ll be taking over the MINI service area indoors! The detail event will run from 9am-1pm, and we can even do a photo shoot/car show after we’re exhausted and fed. Please, please attend this one, it will be fun. The Eastern Iowa MINIs will be joining us. Rob said to “let everyone know that I will have a special offer at the end of my presentation for both clubs.” That sounds interesting. What could it be? 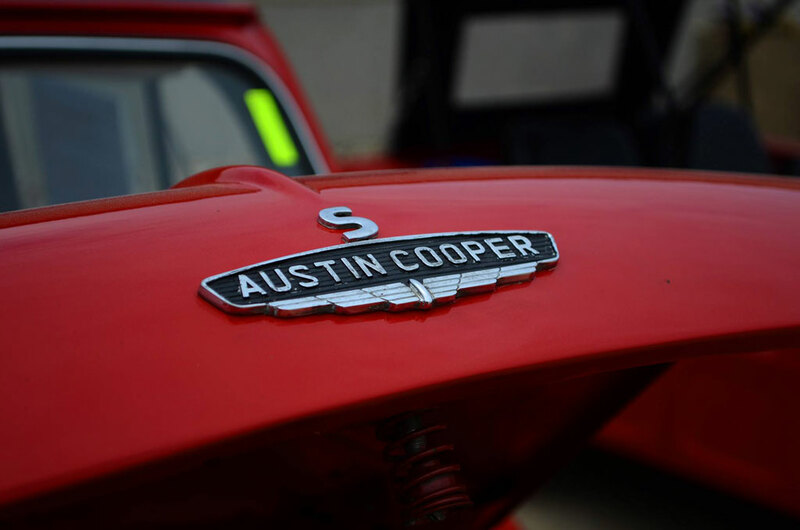 After enjoying the “food and fellowship” we will go on a “garage tour” where we will see 5 Mini Coopers…including a 1968 Innocenti Mini (assembled and sold in Italy), a 1965 Mini Cooper S, former SCCA race car…now street legal, a 1964 Austin Mini Countryman “Woody Wagon”…a survivor of a garage fire at Lyle’s house, a 1965 Mini Cooper S, plus, one of the first “new” MINI Cooper S’s in Iowa in 2002, with about 6,000 miles on it already!! Also, they will see a 1958 (the first year) Austin Healy “Bugeye” Sprite, a 1960 Austin Healy “Bugeye” Sprite race car, a 1953 MG TD…and even a 1990 “summertime only” Miata!! A meal of brats, burgers, baked beans, chips, and soda will be provided. We will also provide the plates, knives, forks, spoons and napkins. Members are welcomed to bring their favorite side dish or a dessert item to share but are also welcome to just bring yourselves. Please RSVP to me by responding to the club email no later than 5:00 p.m. Thursday, Feburary 6th so we can have enough food available. Please RSVP no later than 5:00 p.m. Tuesday, November 26th so we can let the Wig and Pen know how many they will need to seat in the meeting room. As an incentive, the club has been given a limited number of Motortober Sales event t-shirts from MINI of DM. These will be available on a first come first serve basis for $2. Proceeds will be put into the club’s account. As a club we would like to start supporting some local charities. This year we are going to start with 2. Make-A-Wish foundation’s Jolly Holiday Light’s This year Kelly Alliss is going to organize a drive through the light display as a group. After driving through the light display and stopping at Santa’s Wish Shop, will be a stop at a local coffee shop for anyone that wants to. As for next year, we could volunteer as a group to help where needed. We are currently looking for someone that would want to head this up next year. Any takers? Who’s ready for some twists and turns and beautiful sights? Look out for the buffalo, Dutch letters, Warhawks, and Pioneers! MODM will be opening early at 8AM and providing a continental-style breakfast! 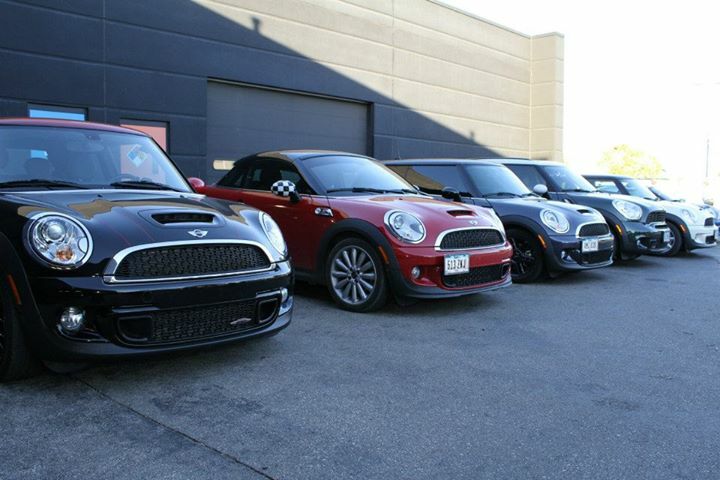 Our friends at Eastern Iowa MINIs will have their own caravan to Pella. Arrive Pella town square late morning, visit, have lunch on your own. There are approximately 40 days until the 2nd MINI’s to Macon, MO Car Rally! Hope to see you in Macon, Missouri on Friday, October 4th, 2013! As many of you know, the Iowa MINI community (primarily Eastern Iowa MINIs and Central Iowa MINI owners) has had a fall colors drive each October since 2003. This year will be the eleventh such event. Over the years, the location has varied, and route planning/event responsibility has alternated each year between EIM and CIMC. In all previous years, the work has been handled by Daryl Hanneman (of EIM) and Greg Beachy (of CIMC). This year it’s the responsibility of the Central Iowa owners to come up with a date and route for the event. Unfortunately, Greg has been relocated to the Kansas City area by his employer, and is unable to do much work for the event this year. I’ll have some time to coordinate route planning, but I’m going to be out of town from time to time in September and I’ll be out of town for most of October, so other members of the club will need to help on this. Please send me any and all ideas you have for a scenic Iowa countryside drive, and I’ll try to assemble a good route from those ideas. In addition, someone will need to take charge of things the day of the event itself since I won’t be here. Without help from other members of the club, this longest-running and most enjoyable Iowa MINI event may end, and that would be sad. At this point the tentative date is Saturday, October 12 (which is the traditional Columbus Day holiday) with an alternate date of Saturday, October 19. Any and all comments, ideas, suggestions, and volunteers can contact me at rogersitterly (at symbol) yahoo dot (.) com or using the contact form below. This is not an official CIMC event, but the Des Moines Valley Region Sports Car Club of America (DMVR SCCA) is having their last Performance Driving Experience (PDX) of the year on August 15th at the Iowa Speedway in Newton. Sounds like a lot of fun! $190 for Non-SCCA members, $175 for SCCA members. Recent Posts – Events and more! Sign up here to receive notifications of new posts by email.